Babies, like the tiny humans they are, are all different. 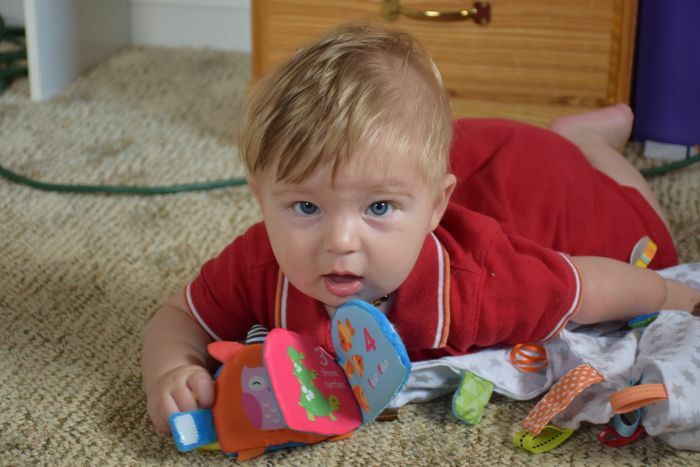 Kolten wanted his thumb and mommy, never creating an attachment to any one particular thing. 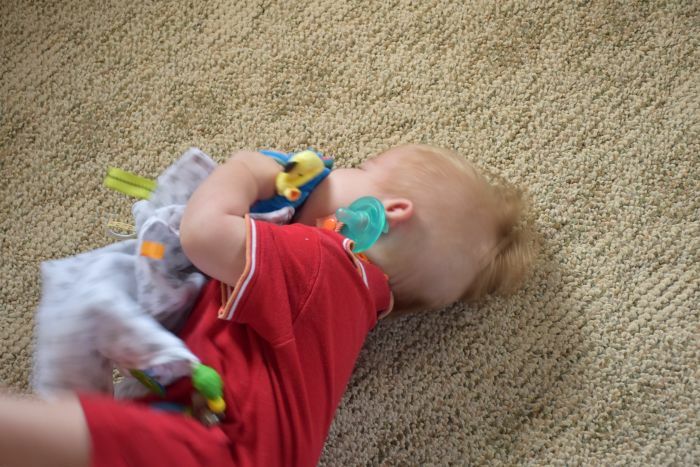 Malachi however, loves his Aiden Blankets and always chews on his pacifier strap. 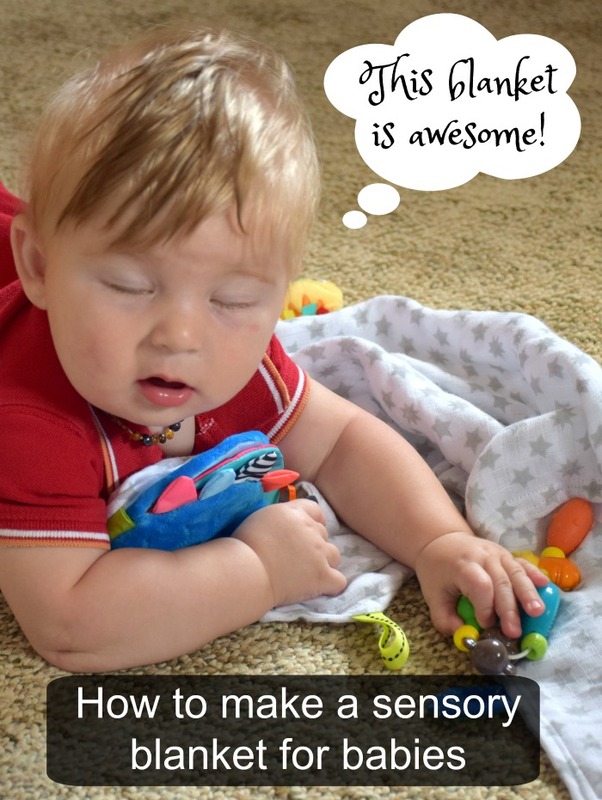 This gave me the idea for make a sensory blanket for babies. 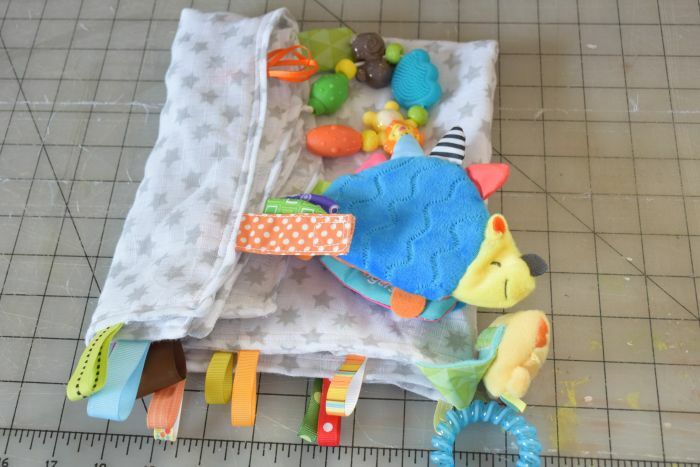 My sensory blanket for babies needed to include all of Malachi’s favorites. 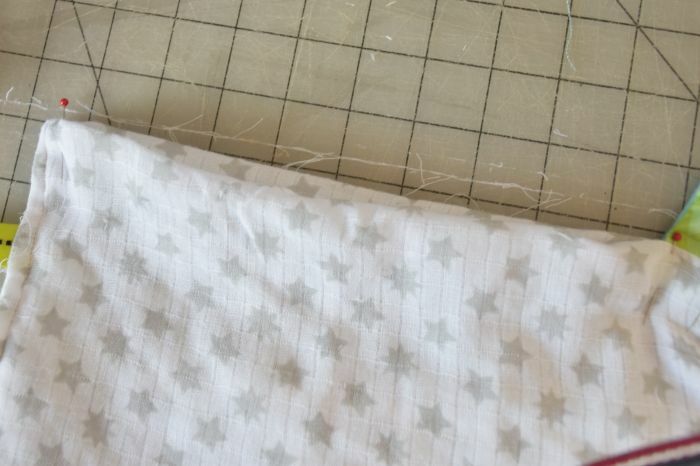 So I found some muslin (it was a crib sheet big enough to make two blankies and cheaper than anything else available) to make the actual blanket part with. Next I found a crinkly book, a wristlet rattle, a small chewie ring, a teething ring with beads, and several different sizes of ribbons. I cut the crib sheet in half and then in half again. Placing the right sides together I began pinning the different ribbons and toys to the inside along 3 seams. The teething book had a velcro loop on it which I cut off and stitched the book itself into the seam. 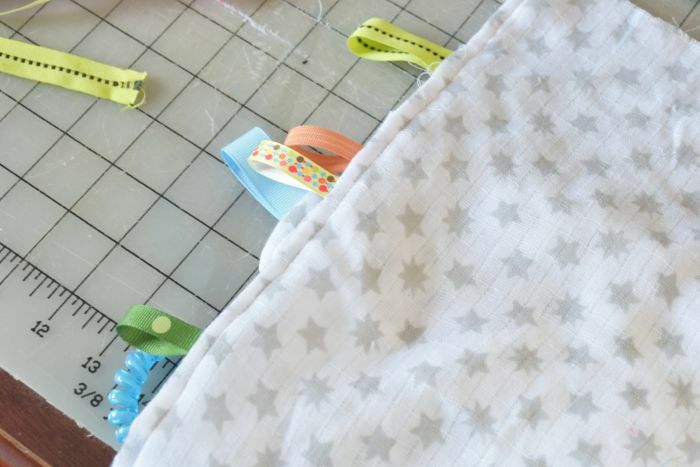 The velcro loop was then stitched into a different part of the blanket so I can attach it to his car seat or stroller. Once 3 seams were completed, I turned the blanket and folded the 4th seam in and pinned the remaining toys and ribbons in. Finally I top stitched the seams down twice to help everything lay smooth. Malachi was laying on his back when I gave him his new blanket. 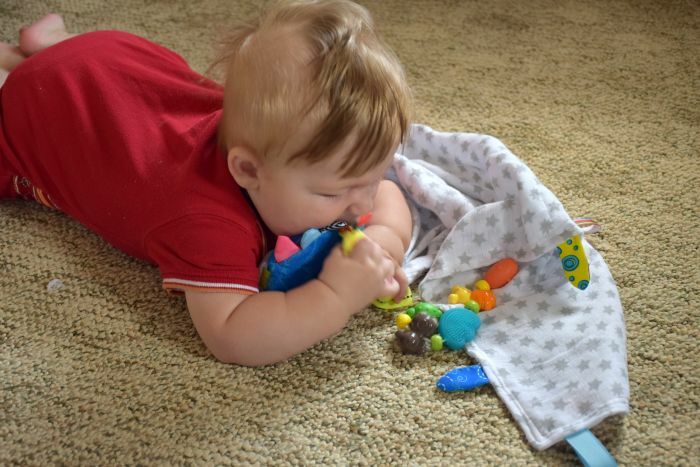 I handed it to him and he grabbed it, rolling over into it and just loved all over it! I think he’s a fan! And what am I doing with the other half of the muslin? 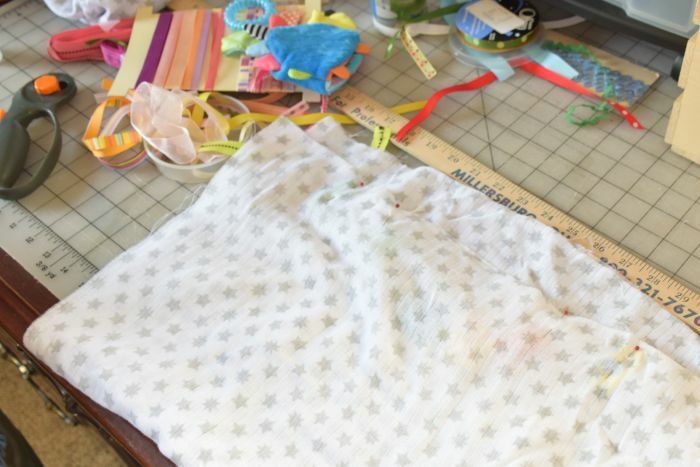 Making a gift for my sister in law’s little girl! Looks like the blanket was a huge success!!! Ki looks like he loves it!! Great job Momma! Malachi is the cutest little tyke!! Oh, the crinkly book!! Whoever invented those needs to be awarded a Nobel Peace Prize, from all moms everywhere!! It’s the only thing that keeps my 4 month old grand daughter quiet in her car seat!! 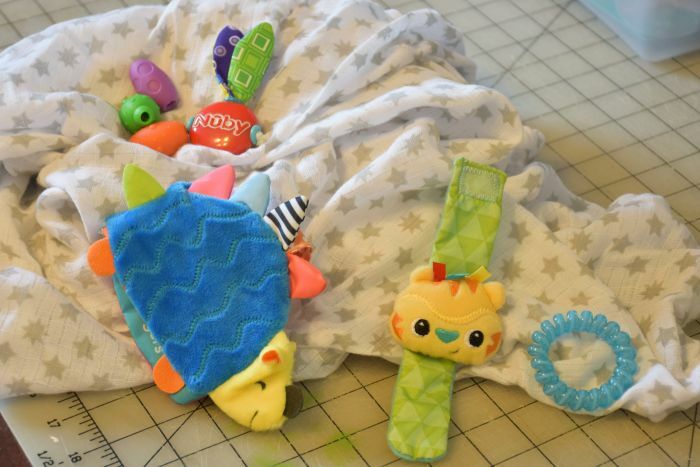 I’ve seen different sensory toys for babies, but a blanket is a wonderful idea! 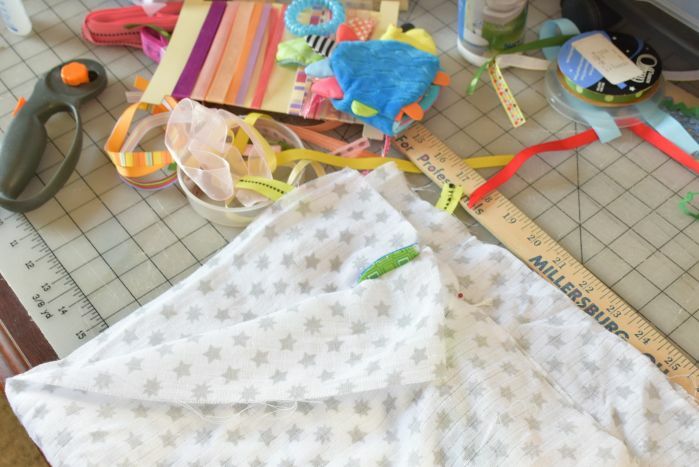 Thanks for linking up with our Merry Monday party!